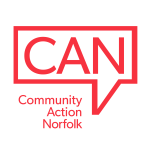 Grants are available to village halls, hospices and community centres working in areas of extreme urban deprivation or remote fragile rural communities. Levels of grant will be determined by the group’s annual income. Incomes up to £100,000 – Grants of up to £6,000 for revenue costs such as salaries, overheads and project costs. Income between £100,000 - £250,000 – Grants of up to £6,000 for one off capital costs for new builds, repairs and equipment. Income between £250,000 - £500,000 – grants between £6,001 - £12,000 for revenue or capital costs. The total cost of capital pr0jects must be less than £1million. Income between £500,000 - £5million – Grants between £10,000 - £50,000 for one off capital costs. Total project costs must be less than £1million. Village Halls and Community Centres with any income under £5million – Grants between £1,000 - £50,000 for new builds, repairs, extensions or improvements. Hospices – Grants between £6,000 - £50,000 for new builds, extensions, improvements, repairs and equipment. Applications are welcomed on a rolling basis. For more information please click here.